Mainstays Textured Solid Curtain ValanceCategory: Window Valance BoxesAdd a touch of sophisticated style to your living room or bedroom with this Mainstays Textured Solid Valance Curtain. It features an all-over slub texture for a relaxed and casual look. This textured valance curtain is made from 100 percent polyester and is compatible with any curtain rod up to 1.5" in diameter. You can hang it on its own or layer it with Mainstays Textured Solid Curtain panels for a luxurious look at an affordable price. It is available in a variety of colors that will complement a wide range of home decors. This versatile accessory offers an ideal way to update the look of almost any room. Drapery rod is not included. 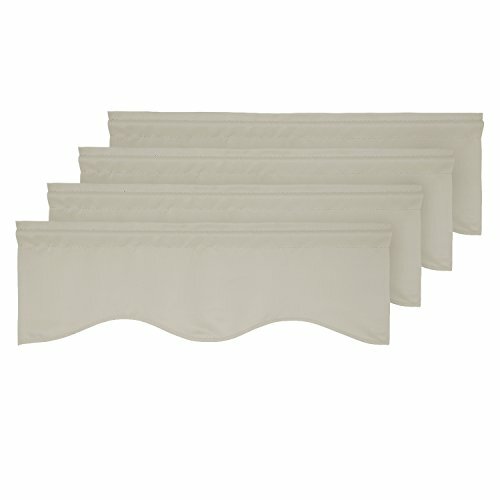 Mainstays Solid 3-Piece Kitchen Curtain Tier and Valance SetCategory: Window Valance BoxesDress up your small window with the Mainstays Solid Microfiber 3-Piece Tier and Valance Set. 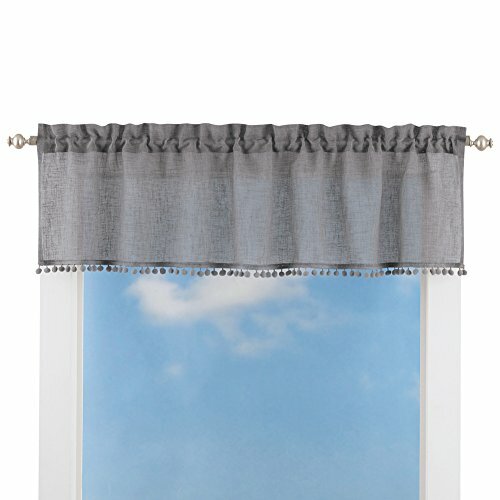 The set includes one valance and two tier curtains in a variety of colors which will coordinate with any home dé. Eclipse Canova Energy Efficient Blackout Window ValanceCategory: Window Valance BoxesExperience the silence, darkness, and beauty of Eclipse curtains: a collection of energy-saving, noise-reducing, blackout curtains where function meets style. The Eclipse Canova Blackout Window Valance is designed to block out over 99 percent of light and reduce unwanted noise so you can get a better night's sleep. The magic is in the Thermaback construction. The innovative foam-back technology blocks out noise and cool drafts while conserving heat. These modern foam-backed thermal curtains provide the ultimate in blackout performance while helping you save money on heating and cooling your home. This valence is perfect for the living room, dining room, nursery or kids' room to help reduce unwanted light and noise. National Sleep Foundation studies show that blocking unwanted light and noise while you sleep helps create the optimal sleeping environment. Instantly update your home decor with an exciting pop of color on your windows. 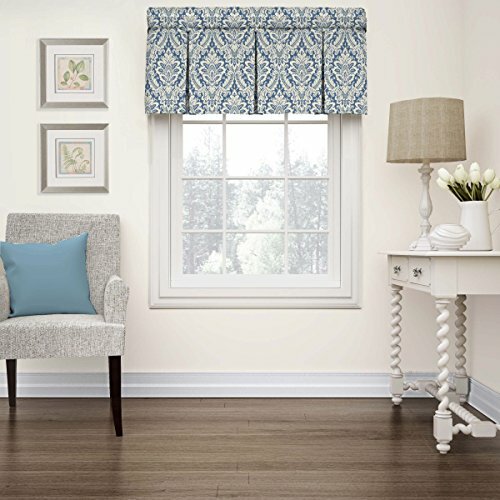 Sun Zero Kylee Rod Pocket Room Darkening Curtain ValanceCategory: Window Valance BoxesSun Zer Kylee Room Darkening valance brings style and energy efficiency to any home. The woven solid design with an easy to hang rod pocket offers a classic style that fits in with any room decor while reducing light and noise for better sleep; help keep your home cooler in the summer and warmer in the winter. Room Darkening panels are made of materials that reduce light, and considerably darken the room. Some light will show through. These materials do not allow a view through and provide complete privacy. The darker the color the better the light reducing capabilities. Sold individually. Hang on a rod up to 1.5" in diameter. Polyester. Washable. Imported. Eclipse Samara Blackout Energy-Efficient Curtain ValanceCategory: Window Valance BoxesExperience the silence, darkness and beauty of one-of-a-kind Eclipse window treatments — a line of energy-saving, noise-reducing blackout curtains and valances where function meets style. Eclipse thermal curtains are designed to block out over 99 percent of light and reduce unwanted noise so you can get a better night's sleep. The magic is in the Thermaback construction. The innovative double-pass foam-back construction keeps the noise and the draft out, letting you enjoy all the light-blocking, noise-reducing and energy-saving benefits you want, without compromising the style you crave. These classic foam-backed thermal valances provide the ultimate in blackout performance, while helping you save money on heating and cooling your home. The textured tone-on-tone design of these energy-saving valances gives this classic style a modern update and provides an excellent and durable alternative to solid styles. Available in various colors. Mainstays Macrame Tailored Curtain ValanceCategory: Window Valance BoxesThe Mainstays Macrame Tailored Valance offers a sweet touch to your home that stands out against the backdrop of your windows. It is made with 100 percent polyester, providing a soft and durable addition to most locations. The Mainstays valance comes in several shades so you can choose an ideal match to suit your style and home decor. They are also machine washable in order to provide easy care. 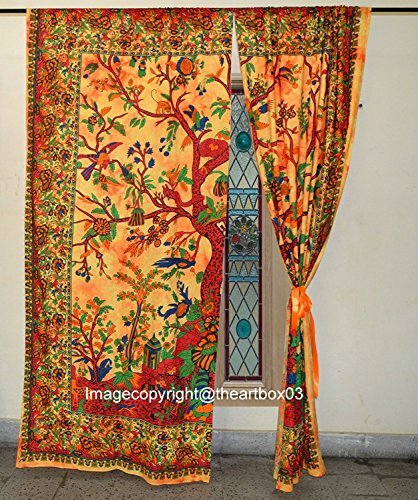 Add these rod pocket valances to your living room, dining room, kitchen or any other room where you need them. Coordinate and layer these items in order to create a look that is completely your own. The macrame accent on the edge will add a beautiful touch to these sheer curtains. 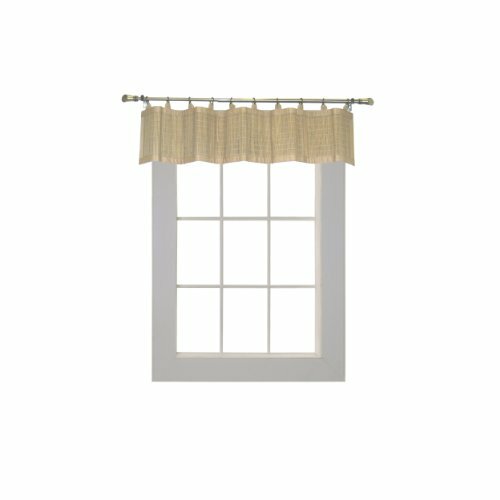 Achim Buffalo Check Window Curtain Valance - 58x14Category: Window Valance BoxesBuffalo Check has a charming, allover check pattern with a detailed macrame trim which offers the comforting allure of plaid and a stylish visual texture. This sweetly checked pattern will bring a bit of country warmth to your home. Available in five different colors, you are sure to find the perfect match for your decor. 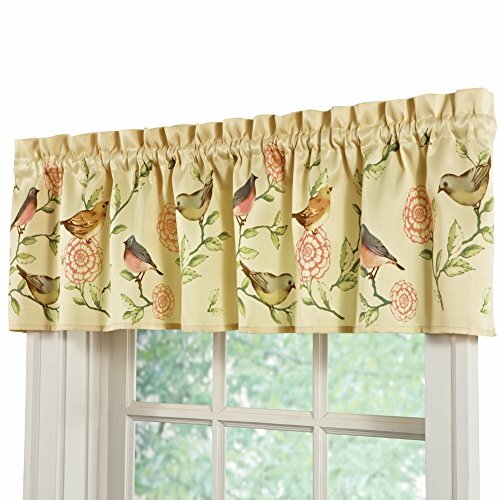 Rod pocket measures 1.5 inches for easy shirr on rod which makes it a breeze to hang on any decorative or traditional window rod (not included), each package contains one valance (optional drapery panel or tier pairs sold separately). Decotex Beautiful Elegant Solid Sheer Window Scarf Long Valance Topper (37" X 216", Hunter Green)Category: Window Valance BoxesDecorate every window with style and sophistication. Allows natural light to flow through the room. This Package contains one Sheer Scarf. Scarf measures approximately 216" in length and comes in 37" or 55" width. Panels sold separately. 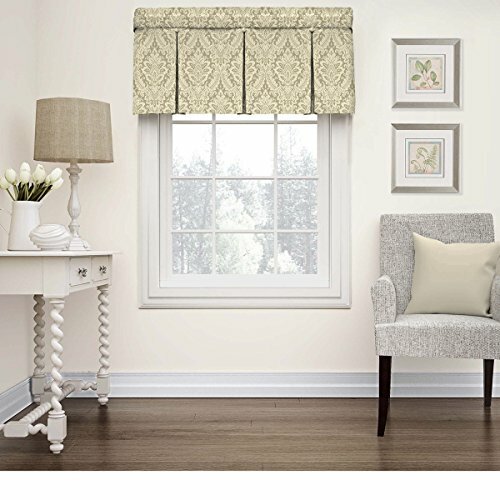 Twill & Birch Belle Maison USA, LTD. Bryce Chenille Scalloped Curtain Valance with CordingCategory: Window Valance BoxesEnhance your home decor with the Bryce Chenille Valance with Cording. It can be hung on its own or paired with other Bryce panels (sold separately). 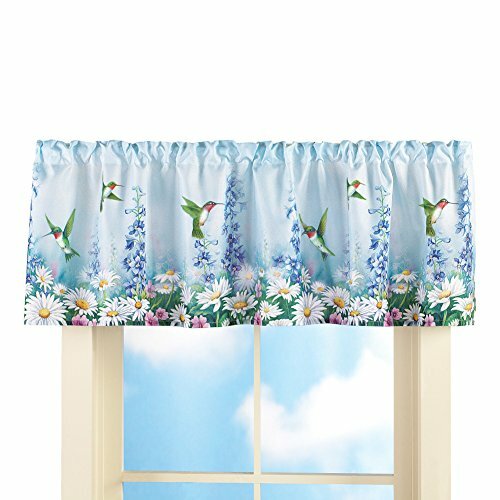 Easy to care for, this valance is made of a soft polyester blend and comes in a variety of attractive colors. 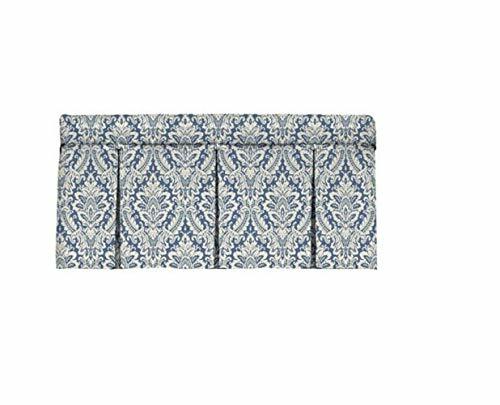 The scalloped valance gives you a great way to dress up any room for a welcoming and sophisticated finish. No. 918 Erica Crushed Sheer Voile Ascot Curtain ValanceCategory: Window Valance BoxesNo. 918 Erica Crushed Sheer Voile Ascot brings sophisticated elegance to the top of your window with a delicately beaded scalloped design. Coordinate with the No. 918 Erica Crushed Texture Sheer Voile Rod Pocket Curtain Panel for a complete look. Three pieces needed for the complete look as pictured. Machine wash cold on gentle cycle. Use non-chlorine bleach when needed. Tumble dry on low heat, using a cool iron as needed. 100% polyester. 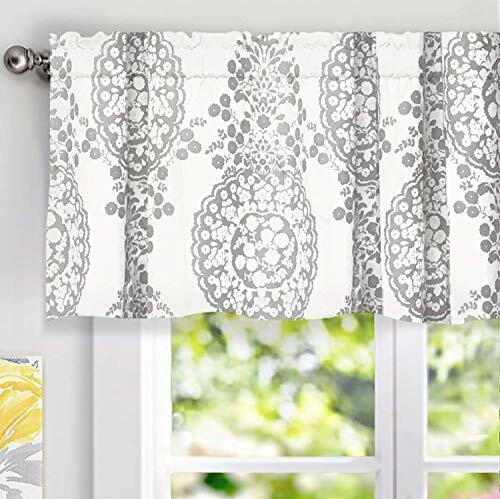 Achim Darcy Window Curtain Valance 58x14Category: Window Valance BoxesThe Darcy Window Curtain Valance is a contemporary, engineered pick-up Valance available in several stunning, contrasting colors. Its polyester fabric has a beautiful ground texture and is perfect for the Kitchen. 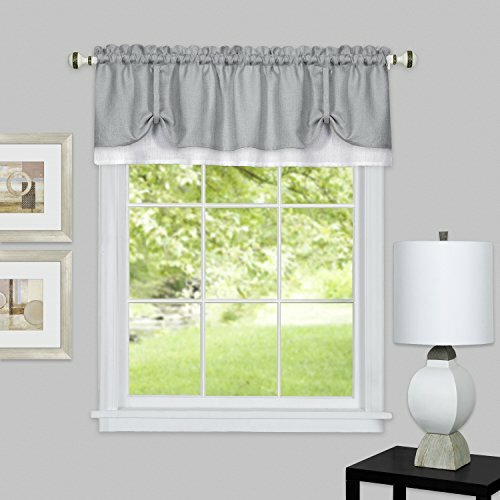 The Darcy Window Curtain Valance has a 1.5 inch Rod Pocket and can be cross-coordinated throughout the home with the Darcy Panel OR Anti-Fatigue Mat. Anti-Fatigue Mat and Panel are all sold separately. All window curtain pieces in the Darcy Collection work well with a one inch diameter rod and are machine washable. 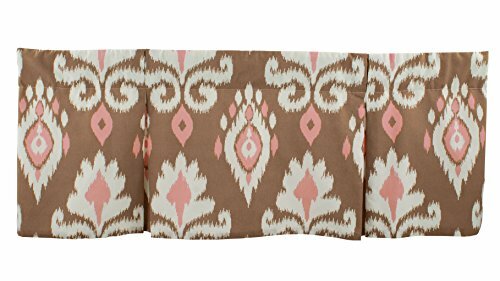 Ombre Waterfall Curtain ValanceCategory: Window Valance BoxesOmbre Waterfall valance is an array of color creating a rainbow design with matching scarf, panels, tieup shade (all sold separately). Each package contains one waterfall valance. Machine washable and dryable for easy care.